Bethlehem hosts an estimated 10,000 tourists for the Christmas Vigil Mass, making it one of the most highly attended Christmas celebrations in years. 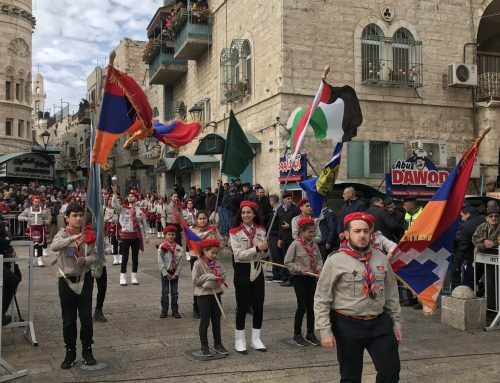 People from all over the world made their way to Bethlehem to celebrate Christmas in the place where it is traditionally believed Christ was born. With an estimated 10,000 tourists, this year’s Christmas celebration is one of the most highly attended in years. Archbishop Pierbattista Pizzaballa, the Apostolic Administrator of the Latin Patriarchate of Jerusalem, travelled to Bethlehem from Jerusalem, crossing an Israeli military checkpoint. 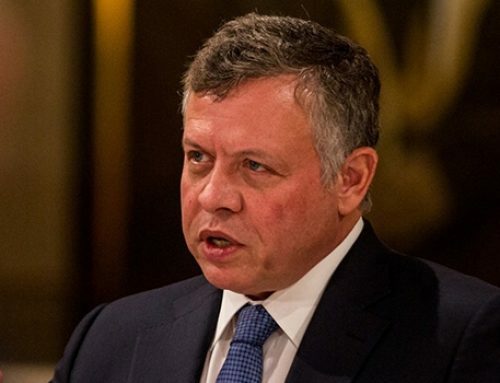 Among those in attendance at midnight Mass were Palestinian President Mahmoud Abbas and Prime Minister Rami Hamdallah. 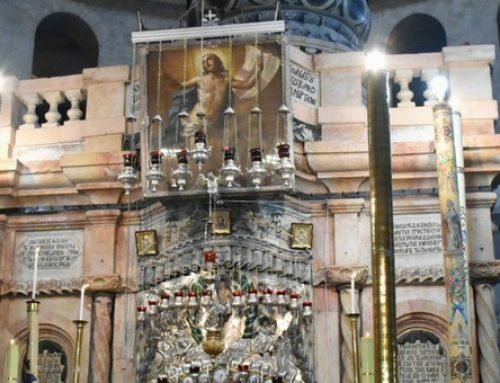 In remarks made before his homily, the Archbishop said that as he entered the Basilica for midnight Mass, he saw for the first time the mosaics that have been in the process of being restored. The beauty of the mosaics “is a metaphor of our reality”, he said. “The mosaics were splendid but covered by a layer of dirt.” Because of the dirt “we lost the memory of how beautiful these mosaics were”, he said. It only required a bit of cleaning to restore their beauty. 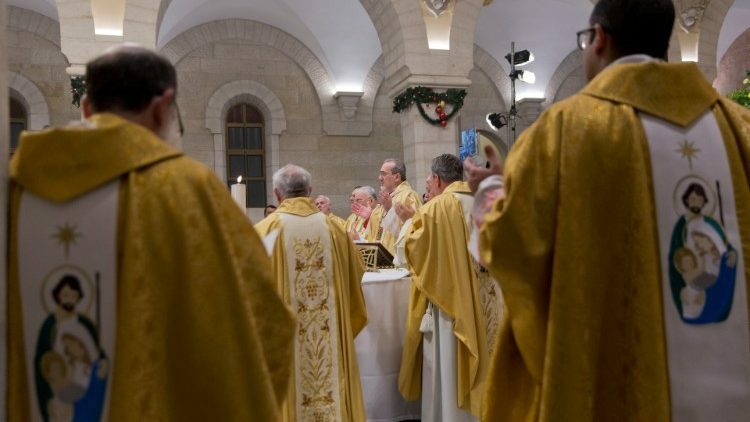 Relating the image to the Palestinian reality, the Archbishop said that the last year was “terrible” from the “political, economic and social points of view”. The temptation, he said, is to think that everything is dirty. “We can see that we have a lot of problems. But if you remove what appears, we also see the wonderful reality of life, commitment, projects, initiatives”. 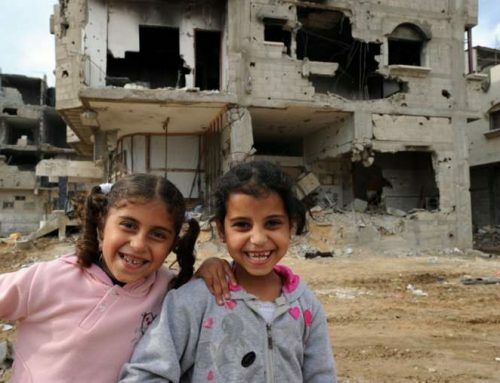 As long as this is also part of the Palestinian reality, he said, “We have hope for the future”. 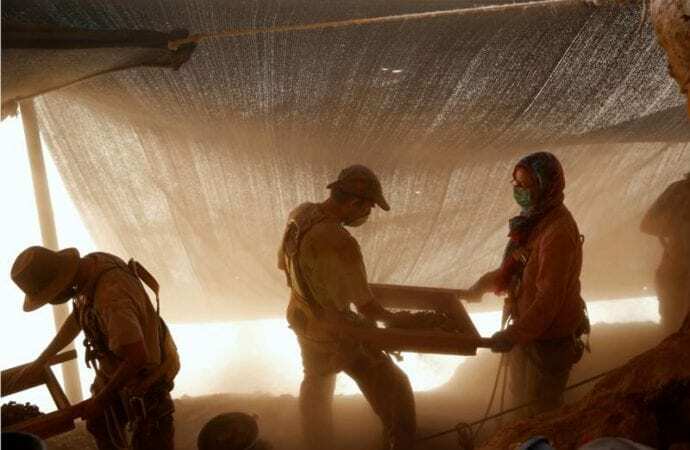 Christmas, he said, is also about removing the layer of dirt in order to see the wonder of the life we are living. While the number of foreigners may be up, the number of Palestinians in attendance was down. One Bethlehem resident said this is due to tighter security. Bethlehem is located in a part of the West Bank controlled by the Israelis. A spike in violence occurred recently which was sparked by a pair of shootings targeting Israeli soldiers. Security has been increased as Israel continues looking for those responsible.